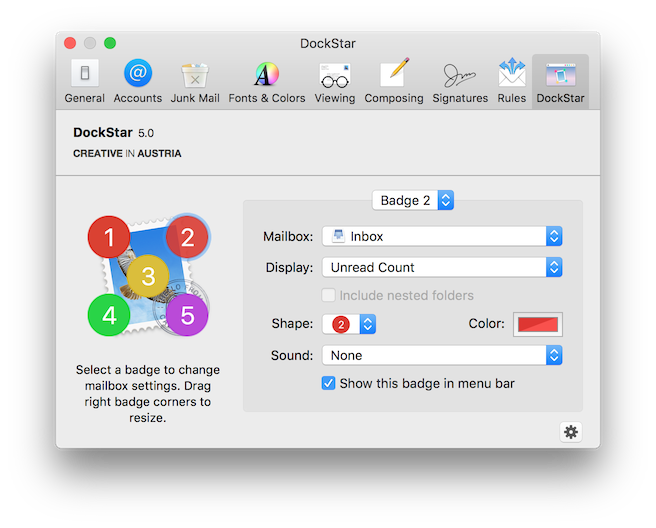 SmallCubed added DockStar-like badges to its Mail Perspectives Plug-in. Now you can see message counts of key mailboxes and message collections as badges on the Dock icon and in the menu bar. DockStar will no longer be developed. 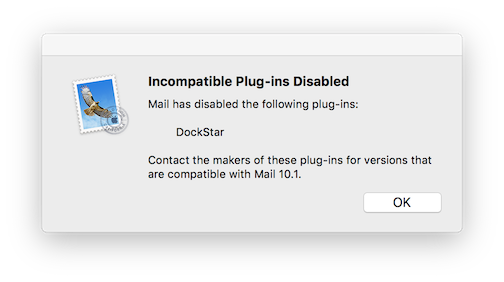 You cannot use DockStar on macOS Sierra or any future macOS version. See here for instruction to uninstall DockStar. Version 4 will continue to work with OS X El Capitan. We greatly appreciate everyone who has used and said good things about DockStar. DockStar is the ingenious way to keep an eye on your Mail. 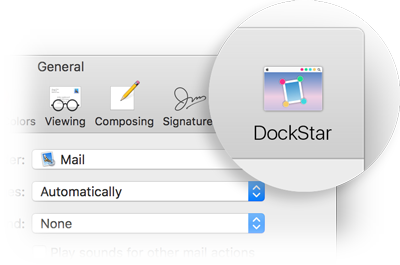 DockStar adds extra badges to Mail's dock icon and clickable indicators to the menu bar. Intuitively monitor unread messages in more than one mailbox. Power users can't live without DockStar to keep tabs on their many folders and accounts. Casual emailers love DockStar's fun shapes, colors, and sounds. To remove DockStar download Uninstall DockStar. In the Finder sidebar, click Downloads. Then just double-click Uninstall DockStar. Сделано с особым 😤 к файлам winmail.dat.